The anti puppy farming rally on Saturday was a major success. Well over 1,000 people attended. It was great to see all of the animal welfare organisations raising the issue for consideration by the politicians in this an election year. Congratulations to the organisers at Oscar’s Law. The Lost Dogs' Home has advocated the proper control of these farms for over 15 years. Debra Tranter’s vigorous commitment and advocacy of this issue has helped bring this important campaign into the mainstream. 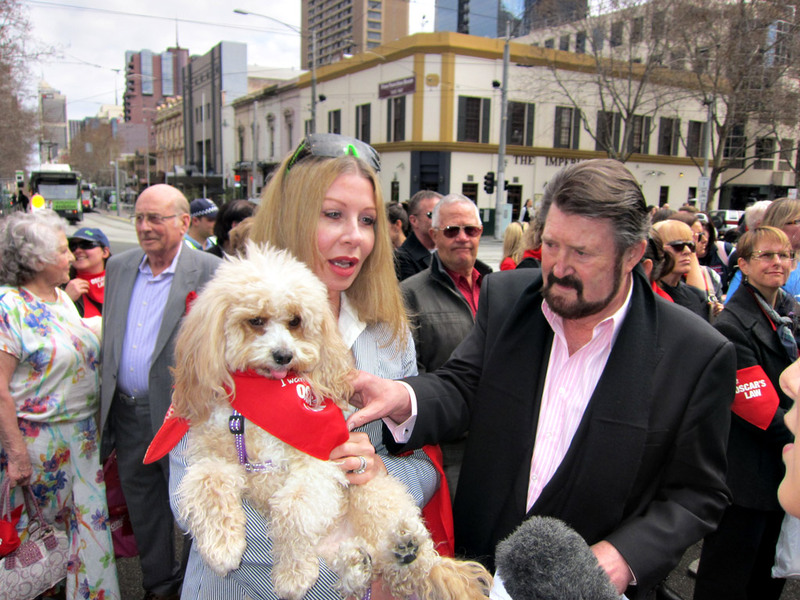 Given the recent news about Derryn Hinch’s liver cancer, it goes to show what a terrific effort and commitment to the cause he has. The Lost Dogs' Home values his support on the issue of puppy factories and wishes Derryn the best of health with his upcoming treatment. The Lost Dogs’ Home wishes to see better policing and closure of rogue puppy factories and enforcement of the reformed Codes of Practice. It is not enough to write a piece of legislation and then leave it up to other bodies like local government to enforce state law. It was also great that the sales of our merchandise raised nearly $700 for Oscars Law Inc. The Lost Dogs' Home wishes to see the introduction of licences for new owners to reduce impulse buying of pets and to force new owners to learn how to properly and responsibly care for cats and dogs. We have offered to work with various interest groups to see if we can make some joint submissions to both the government and opposition.